Q: Why should I consider getting replacement windows? A: According to the U.S. Department of Energy (DOE), the average home loses more than 30% of its heat through windows. Modern replacement windows are durable and help to lower monthly energy costs, increase the value of your home, reduce maintenance hassles and add beauty to the interior and exterior. Q: Do replacement windows really pay for themselves? A: It’s true, if you select high-quality, energy-efficient windows. Replacement windows with insulated frames and energy-efficient glass packages can prevent the transfer of heat and cold into and out of your home all year long. With vinyl or fiberglass windows, maintenance is virtually eliminated – no need to scrape or paint. These energy and maintenance savings may allow you to recoup your window investment within a few years. Q: How do I know if a window is energy-efficient? A: Any replacement window you purchase should come with a label from the National Fenestration Rating Council (NFRC). The NFRC conducts testing and has established industry standards for rating the energy performance of replacement windows. Window manufacturers participating in the program are required to label every window according to its specific thermal performance level. Customers are then ensured that the products they select meet the requirements for their application. Q: What window frame material is the most energy efficient? A: Vinyl or fiberglass window frames with multi-chambered construction and fusion-welded corners are the most energy-efficient available. Insulated frames are especially effective when combined with a Low-E glass package. Q: What is insulated glass? A: Double-pane and triple-pane windows create layers of insulation. In general, the more airspace there is between panes, the better the window’s insulative value. Inert gas fills, such as argon or krypton, slow the transfer of heat or cold into your home. 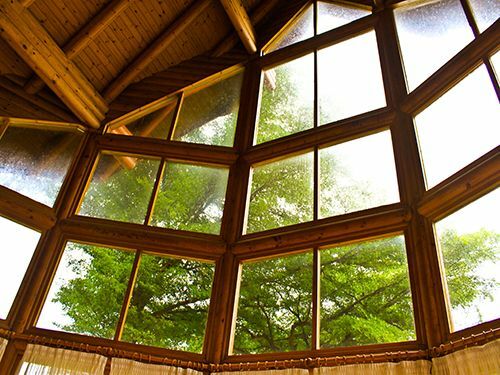 Controlling the amount of convection between the panes of glass means you’ll need less energy to heat or cool your home. Q: What is Low-E glass? A: Among the best options you can have on your windows is a Low-E coating. “Low-E” is short for low emissivity. Low-E glass has a very thin coat of metal on the glass surface to reflect heat, keeping exterior heat out in the summer and interior heat inside in the winter. Low-E glass can also prevent furniture and carpet fading by reducing the amount of ultraviolet radiation that enters your home. The replacement window experts at Winfield Builders are ready to help you reduce energy costs and make your home more beautiful and comfortable. Contact us for a free estimate today by calling (301) 370-7925 or completing our online quote request form.